Question #1: Who owns it? Among the various instructions that the Gemara provides for baking matzoh is a requirement to use mayim shelanu, which should be translated as water that rested. This article will discuss the halachic requirements that Chazal instituted. In the time of the Gemara, matzohs were baked fresh daily, and we see that the kneading and baking was usually the responsibility of the women of the household. Until fairly recently, this was common practice in many Sefardic communities, but among Ashkenazim, matzoh production has in most places become a commercial enterprise, since at least the nineteenth century. Today, few people bake their own matzohs, although I know people in Eretz Yisroel who still do so. Rabbi Yehudah said, “A woman should knead dough for matzoh only with mayim shelanu.” Rav Masneh taught this in a public lecture in Papunia, a town in Bavel where the spoken language was Aramaic. Rav Masneh quoted Rabbi Yehudah’s exact Hebrew words, mayim shelanu, which can also mean our water. The next day, all the people came to him with their buckets, requesting that Rav Masneh supply them with his water, so that they could bake their matzohs. He then explained to them that he had meant water that rested, this time using the Aramaic words, maya devisu (Pesachim 42a). The authorities debate whether Rav Masneh was teaching this as part of the traditional Shabbos Hagadol drosha, whose primary halachic purpose is to educate people regarding the details of the laws of Pesach, or whether he was delivering this discourse on Yom Tov. If it was on Yom Tov, why would Rav Masneh have waited until Yom Tov to tell them about an essential practice necessary to bake kosher-for-Pesach matzohs? The probable answer is that Rav Masneh was a visitor in Papunia on Yom Tov and chose to discuss this topic when asked to give a guest lecture. The rishonim ask why the Gemara needs (or should I say kneads?) to mention the story of Rav Masneh (Yerei’im). They do not answer that it is to teach us to have a sense of humor. What was the purpose of the story? There are several interesting answers to this question, two of which we will discuss at the end of this article. “Rava taught in a public lecture: a woman should not knead her dough for matzoh under the sun, nor may she use hot water, even if it was heated only by being exposed to sunlight, nor may she use water that appears to be room temperature, if it was swept out of a water heater whose coals were removed. She should be careful not to ‘raise her hands’ from the oven until she completes making the matzoh,” which is another way of saying that she should remain focused on the matzoh production until it is finished, and certainly not do anything else in the interim (Pesachim 42a). The answer is that one may not. The Gemara then asks what is the halacha if someone made matzoh using water that did not meet the standards mentioned above, and cites a dispute between Mar Zutra and Rav Ashi whether the matzoh may be used. Mar Zutra permitted the matzoh thus prepared, whereas Rav Ashi prohibited it. The halachic authorities rule according to Rav Ashi, that this matzoh may not be used. The authorities then debate whether this ruling applies only to the latter cases — one who kneaded the matzoh outdoors or who used warm water — or does it apply even to someone who kneaded matzoh with water that was not mayim shelanu. Rashi is quoted as having ruled that matzoh prepared with water that was not mayim shelanu is permitted bedei’evid, after the fact, whereas most authorities prohibit this matzoh. Why did Chazal prohibit using water for matzoh baking, unless it rested? The poskim cite two main approaches. According to Rashi, mayim shelanu is required because, during the winter months, the sun traverses the earth much closer to the earth than it does in the summer. Thus, the areas of the earth in which there are open bodies of water become heated to a much greater degree in the winter than they are in the summer, making the water too warm for baking matzohs. Since Pesach in the northern hemisphere is at the end of the winter, it arrives when outside water is warmer than desired for matzoh baking, until it has had ample time to cool. Since the Gemara mentions specifically that the water was lanu, many authorities maintain that the water must rest in a cool place for a minimum of twelve hours (Gra). It would seem that, according to Rashi, there is no need for mayim shelanu when making matzoh before Pesach in Argentina, Australia, South Africa and anywhere else in the southern hemisphere, since, in that part of the world, Pesach falls at the end of the summer, not the end of the winter. Similarly, someone baking Pesach matzohs in the summer months in the northern hemisphere would not require mayim shelanu. Although this last piece of information may not be germane to any existing kosher lePesach matzoh bakeries, it will be of interest to those producing matzoh for the grain offerings, the menachos, to be offered in the Beis Hamikdash when it is rebuilt, speedily and in our days, since, with only two exceptions, they may not be chometz. The rishonim quote that Rashi himself held that mayim shelanu is required only when using water from a spring or a cistern, but not when using water drawn from a river. Some explain that this is because we can assume that it has already had sufficient time to cool (Responsum of Rashi, quoted by Ravyah #485, as explained by Kolbo #48). However, later authorities (Ravyah #485; Shulchan Aruch, Orach Chayim 455:1) do not accept this lenient ruling and require that river water wait several hours before use for baking matzohs. The second reason for mayim shelanu is that provided by Rav Eliezer of Metz, a disciple of Rabbeinu Tam and the author of Sefer Ye’rei’im, an important early halachic source. The Ye’rei’im explains that one should not use water for matzohs unless it rested, because water drawn at night from underground was heated by the sun, since the sun is on the other side of the earth at night. He rules that water drawn at the very beginning of the night can be used immediately, since it has not yet had opportunity to become hot. This lenience applies to water drawn at the very end of the day, during twilight (bein hashemashos), or at the beginning of the night. According to the Taz, the Ye’rei’im required that matzohs be baked only with water that was drawn during the evening, as described above. Any water drawn at any other time is considered to have become heated and may no longer be used for matzoh production. The Taz contends that one may not use for baking matzohs any water that was ever known to be hot, even if it was subsequently cooled and allowed to rest. Several other authorities, such as the Hagahos Semaq 222:9, and the Mizrachi, also rule this way (as understood by the Beis Yosef and the Taz.) The reason why we refer to the water as “water that rested overnight” is because usually one needs to draw it at least a day before one will use it, and prior to the night. According to the Bach’s understanding of the Ye’rei’im, one may never use water drawn at night, but water drawn in the daytime becomes usable after it has been allowed to cool until the following morning. According to the Beis Yosef’s understanding of the Ye’rei’im, water drawn any time other than twilight becomes permissible for matzoh production after it has been in a cool place overnight. Thus, water drawn at night becomes usable the morning after the following night, whereas water drawn in the daytime becomes usable the following morning. According to all three opinions, the Ye’rei’im permitted immediate use of water that was drawn in the evening, whereas Rashi required this water to rest overnight. According to Rashi, water drawn in the daytime is acceptable for matzoh production after it has been left for twelve hours in a cool place, whereas according to the Ye’rei’im (as understood by the Beis Yosef and Bach), this water may not be used until the following morning, which is considerably more than 12 hours. The halachic authorities rule that lechatchilah one should draw mayim shelanu in the evening and then wait overnight until one uses it, which is basically following the stringencies of both Rashi and the Ye’rei’im. This means that one draws water from a spring, well, or river immediately before twilight and leaves it in a cool place for a minimum of one complete night to allow it to cool (Shulchan Aruch Orach Chayim 455:1 and commentaries). One may draw water for several days at one time (Shulchan Aruch 455:1), provided one draws the water immediately before twilight and then stores it in a cool place, although some poskim prefer that the water be drawn freshly each night (Maharil quoted by Ba’er Heiteiv 455:7). The water should not be drawn or stored in a metal vessel since metal conducts heat and warms the water (Magen Avraham 455:9). In addition, the water should not be drawn or stored in a vessel that has been used previously to hold other liquids since some liquid may mix with the water, and this may cause the dough to rise faster than otherwise (Magen Avraham ibid.). Many contemporary poskim discourage using tap water for matzos because of concern that fluoride and other chemicals introduced into the water may cause the dough to rise more quickly (see Mo’adim U’zemanim 3:261). It is important to note that the requirement for mayim shelanu is not only for the matzos eaten at the Seder, but also for all matzos eaten during the entire Pesach. At this point, let us return to a previous question: The Gemara tells us the amusing anecdote concerning the misunderstanding that resulted from Rav Masneh’s lecture, where the people misunderstood mayim shelanu to mean Rav Masneh’s water, until he clarified that it meant water that rested overnight. Why is it important for the Gemara to tell us this story? From the Ye’rei’im onward, many halachic authorities discuss this question, providing a variety of answers. Some explain that Rav Masneh delivered this lecture on Yom Tov, and they infer the following conclusion: If matzoh made without mayim shelanu is prohibited, Rav Masneh would have left the people of Papunia with nothing to eat – they would have had to destroy all the matzoh they had already produced, since it was not made using mayim shelanu, and they would have had nothing to eat the next day either, since they had no water with which to bake. Since the Gemara mentions nothing of the hardship that was imposed by his ruling, we should conclude that the Gemara’s purpose is to teach that mayim shelanu is required only lechatchilah, but, after the fact, matzoh made using water that was not mayim shelanu is permitted (Sefer Ye’rei’im). Others contend that Rav Masneh taught this as part of the Shabbos Hagadol drosha, and that Pesach that year began on Sunday night. (In our current calendar implemented by Hillel Hanasi, Pesach cannot begin on Sunday night. However, Rav Masneh lived at a time when the central Beis Din still determined the calendar on a monthly basis, and, in that era, Pesach could begin on any day of the week.) On Sunday, the people came to fetch water from Rav Masneh, intending to bake their matzohs in the afternoon. This was the common practice in earlier days – matzohs for the Seder were not baked until the afternoon of Erev Pesach, a practice mentioned in Shulchan Aruch and still practiced by many. As we mentioned above, it could be that mayim shelanu is only a lechatchilah rule, but, after the fact, one who has no mayim shelanu can bake matzohs with room temperature water (Raavyah; Semag). As long as several hours have elapsed since the water was drawn, it is called mayim shelanu, regardless as to when it was drawn. Thus, having heard Rav Masneh’s ruling, the people immediately drew water and began timing the cooling off period. Towards evening, they baked their matzohs (Ravyah #485), or possibly even in the middle of the Seder! As we all know, matzoh is made of only two ingredients, kosher-for-Pesach flour and water. Although few of us bake our own matzohs, we now know that there are halachos germane to what water one must use for baking matzohs. This provides some information that enables us to understand what is involved in the kashrus of one of the two ingredients in the manufacture of matzoh. While baking matzoh on erev Pesach, there is a custom of singing Hallel with tremendous emotion. The moments that we recite Hallel then, and on Pesach itself, can encapsulate the most fervent experience of His closeness. Reliving Hashem’s miracles rekindles the cognizance of Hashem’s presence. In the merit of joyously performing the mitzvos of Seder night, may we soon see the return of the Divine Presence to Yerushalayim and the rededication of the Beis HaMikdash, and be zocheh to fulfill all of these mitzvos, including the korban Pesach! Question #2: Better than Boil? Halachah assumes that when cooking food, taste residue remains in the utensil that was used. When this flavor residue, which is called ta’am, comes from something prohibited, it must be removed to allow the utensil to be used again to prepare food. When the flavor is from meat, one must extract it before using the utensil for a dairy product,* if the flavor is from chometz, the utensil must be kashered before it can be used for Pesach–dik products. Although modern appliances are not mentioned in the Torah, the basic rules for kashering all appliances lie within a careful study of the passages of the Torah, the Gemara and the early authorities on this topic. The Chumash, itself, alludes to the halachic process used to kosher a utensil when it commands, kol davar asher yavo vo’eish ta’aviru vo’eish, “Any item that entered fire, shall be passed through fire” (Bamidbar 31:23), thereby implying that kashering an appliance that became non-kosher through direct contact with a flame requires burning the appliance in a flame — no other cleaning process will sufficiently kosher this appliance. One of our responsibilities prior to Pesach is to ascertain that we know how to kasher our homes correctly. The piyutim that were traditionally added to the prayers on Shabbos Hagadol include very detailed instructions on proper kashering techniques, and we find that the baalei Tosafos discuss and correct the texts of the piyutim to accommodate the correct procedures. This week’s article will provide some introductory information to this topic, as we explore how the Gemara explains correct kashering procedures. (2) Rav Ashi’s second answer is that an earthenware oven can be kashered by building a fire inside it, but not an earthenware pot. In those days, cooking was done by building a fire inside the oven and placing the pot inside or on top of the oven. This fire does not provide enough heat in the pot to remove the flavor (ta’am) that is absorbed inside it. Furthermore, building a fire inside the pot is also not a satisfactory method of kashering it. Chazal did not permit this method of kashering, because it may not be performed properly — the owner may be afraid that the pot might crack if it is heated long enough to kasher it (Rosh and Rabbeinu Chananel ad locum; cf. Rashi, who explains the Gemara somewhat differently.) This concern does not exist regarding an oven, presumably because this is the usual way of heating it. When a concern exists that a particular method of kashering may break an appliance, Chazal prohibited using that method. There are many, many instances where this halachah is put into practice. Any method that might kasher the sandwich maker would very possibly ruin the machine. Therefore, it is not possible to kasher it for Pesach use. Earthenware has different properties from those of metal items, resulting in differences in halachah. Regarding metal and other types of items, there is a principle of kebol’o kach polto, that one extracts from a utensil prohibited flavor the same way the flavor was absorbed into the appliance. From the passage of Gemara quoted above, we see that there are exceptional cases when this principle does not apply. Materials such as earthenware can absorb substances that will not be removable afterwards. Rather than becoming completely extracted when one kashers them, some of the absorbed taste remains and gradually leaches out afterwards with each use, thus spreading prohibited flavor into all subsequent cooking (Tosafos, Chullin 8a s.v. Shelivna). Although the above-quoted passage of Gemara implies that earthenware pots cannot be kashered, Tosafos notes that this rule is not absolute — there is an acceptable way to kosher them. The Gemara (Zevachim 96a) implies that all earthenware vessels, even pots, can be kashered by firing them inside a kiln used for manufacturing earthenware (Tosafos, Pesachim 30b s.v. Hatorah). The intensity of heat in a kiln, which is far greater than the temperature used when baking or cooking in an earthenware oven, will remove the non-kosher or chometz-dik absorption from the walls. Furthermore, we are not afraid that someone will not kasher the utensil adequately out of concern that it will crack, because heating in a kiln is consistent on all sides and will not cause the utensils to crack (Rosh). It is uneven heating that damages the vessel. There is an alternative explanation for why there is no concern that the owner will not kasher his pot adequately inside the kiln for fear that it will crack. In this instance, we feel that the owner will allow the pot to remain inside long enough to kasher properly because once the owner has placed the pot inside a kiln, this demonstrates that he has no concern about the pot breaking. This halachic conclusion is followed by the Shulchan Aruch (Orach Chayim 451:1). We will now examine a different passage of Gemara to learn more about the rules of the kashering procedure. 1) That which is usually used for cooking in liquid medium must be kashered in hot water, which is called hag’alah. 2) That which is used to broil or roast food directly in fire must be kashered directly in fire, called libun. As examples of the latter rule, the Mishnah chooses a barbecue spit and a grate used for roasting. Since these appliances absorbed non-kosher ta’am directly through fire, they must be kashered by burning them in fire. From this Mishnah, we learn a new rule – that there is a hierarchy in kashering. If an appliance absorbed flavor directly through fire, boiling it will not remove the residues of prohibited substance sufficiently to kasher it. This explains in more detail the rule I mentioned above, called kebol’o kach polto, which teaches that extracting food residue requires the same method that caused the absorption initially, or a method that is more intense, as I will explain shortly. Therefore, if a prohibited food was cooked in a pot, it can be kashered by hag’alah, which is a method of boiling out what was absorbed. However, if a spit or rack absorbed prohibited food directly through fire and not through a liquid medium, hag’alah will not suffice to kosher it. It is axiomatic that a stronger method of kashering will work for vessels requiring a lower level of kashering (for items other than earthenware). Thus, a metal pot used to cook non-kosher can be kashered by libun, although it is not necessary to use this method. There are other methods of kashering, such as iruy, which means pouring boiling water onto an item or surface, and miluy ve’iruy¸ which means submerging an appliance in water for three 24 hours periods. In this article, we will not discuss these methods of kashering. At this point, we are ready to go to the next step in understanding how to kasher properly. The first question we will explore is germane to kashering directly by fire, which is called libun. The question is: How long must the spit or rack be held in a fire for it to be kashered? At what point can we assume that all the prohibited absorption will be removed? We find two statements of the Gemara answering this question, one in the Talmud Yerushalmi and the other in the Talmud Bavli. The Talmud Yerushalmi (end of Avodah Zarah) states that one must heat it until sparks begin to shoot off. The Talmud Bavli (Avodah Zarah 76a) explains that you must keep it in the fire “until you remove the surface.” In practice, the halachah is that one needs to heat it until sparks shoot off (Shulchan Aruch, Orach Chayim 451:4). Removing the residue of a prohibited substance from an appliance requires performing on it a procedure that is similar to or stronger than what caused the absorption in the first place. When a concern exists that a particular method of kashering may break an appliance, one may not kasher it that way. One cannot kasher earthenware items through conventional household methods. However, a different Mishnah seems to dispute one of the principles that we have just explained. The Torah teaches that there is a mitzvah to eat parts of the korbanos offered in the Beis Hamikdash, but that there is a time limit within which they may be eaten. After the korban’s time limit has passed, the leftover meat is called nosar, literally, leftover, and must be burnt. Eating it after this time violates a serious prohibition of the Torah. What happens to the equipment used to cook the korban? The leftover flavoring remaining in the equipment becomes nosar and the equipment must be kashered. This means, essentially, that equipment used to prepare kodoshim must constantly be kashered. How does one kasher the equipment? One would think that we would apply the same rules presented by the above-mentioned Mishnah in Avodah Zarah. However, the Mishnah states that a grill used to barbecue a korban requires only hag’alah (Zevachim 97a). This suggests that there is a one-size-fits-all approach to kashering – and that hag’alah can be used to kasher anything, even that which absorbed the food directly via fire. This approach does not fit the rule of kebol’o kach polto discussed above. As you can imagine, we are not the first ones to raise this question. The Gemara (Avodah Zarah 76a) does, and provides several answers. The conclusion of the Gemara is that when the prohibited substance was permitted at the time of absorption, a concept that the Gemara calls heteira bala, hag’alah is sufficient to kasher it. The absorption of korban meat in equipment qualifies as heteira bala because, until the time that it becomes nosar, it is permitted to eat the meat; therefore, hag’alah suffices. The opposite of heteira bala is issura bala, which means that the food was prohibited at the time that the absorption took place. The Mishnah in Avodah Zarah discussing used equipment purchased from a gentile is teaching the laws regarding issura bala. Why does heteira bala create a basis to be more lenient? Some explain this phenomenon as follows: When prohibited substance is absorbed through a medium, such as by cooking in water, hag’alah, boiling out the non-kosher vessel, will remove all of the prohibited substance. However, when the substance absorbed directly by fire, boiling it will not remove all of the prohibited substance. Nevertheless, it does remove most of the substance. When the vessel initially cooked non-kosher, non-kosher food absorbed into it and must be fully removed. But when the absorbed substance was kosher at the time that it absorbed, the residue left over after the pot was boiled is not enough to be considered non-kosher. In a food service operation, some pareve baking trays had mistakenly been used to bake chicken. Assuming that the chicken was placed directly onto the trays, one might think that kashering these trays would require libun, since the absorption was direct from the meat into the tray, without any liquid medium. However, because of the principle of heteira bala, only hag’alah was required. Is chometz considered heteira bala? Since chometz is permitted to be eaten anytime but Pesach, it would seem that chometz should be considered heteira bala. This would mean that kashering chometz equipment for Pesach use would never require more than hag’alah. However, we find that there is a dispute among halachic authorities whether chometz is considered heteira bala or issura bala. Those who follow the stringent approach rule that at the time of its use, chometz is what was absorbed into the walls of the pot, and chometz may not be used on Pesach. The concept of heteira bala is applicable, in their opinion, to kodoshim products since, at the time that the grills were used, they were not nosar. They could not become nosar afterwards since the small remnant remaining after the hag’alah will not be considered nosar. Whether chometz is considered heteira bala or not is very germane in practical halachic terms. If it is considered heteira bala, then hag’alah will suffice to kasher all items for Pesach, and one is never required to kosher items with libun to make them Pesach –dik. Both the Shulchan Aruch and the Rema (451:4) conclude that chometz is considered issura bala. Therefore, one cannot kosher a grill used for chometz through hag’alah, but it requires libun. However, in case of major financial loss (hefsed merubeh), one may rely on the opinion that chometz is heteira bala (Mishnah Berurah 451:32, citing Elya Rabbah and Gra). So far we have discussed kashering through libun, by means of a high temperature of direct fire. We have also discussed hag’alah, which is kashering through boiling in water. The rishonim discuss an in-between method of kashering, which is called libun kal, easier libun. Libun kal also uses direct heat to kasher, but it does not reach as high a temperature as does the libun we have been referring to until now, which is sometimes called libun chamur, strict libun, to avoid confusion. Libun kal is defined as heating metal hot enough that one sees that the heat has permeated through the metal fully (Mordechai, Avodah Zarah, end of 860). An alternative definition is that it is hot enough to burn straw. The poskim rule that when hag’alah would be sufficient to kasher, one may use libun kal as an alternative, but that it should not be used when there is a requirement to kasher via libun chamur (Mordechai, Avodah Zarah, end of 860). How hot is libun kal? The answer is that since libun kal can be used whenever hag’alah suffices, one could kasher any items that require hag’alah by libun kal in a household oven, if one keeps the item in the oven long enough. This article has provided a small introduction to some of the ideas of kashering, particularly to the concepts of libun and hag’alah. We have not yet dealt with several other types of kashering, including iruy, kli rishon, and miluy ve’iruy, all of which we will need to leave for a future time. We should always hope and pray that the food we prepare fulfills all the halachos that the Torah commands us. * There is discussion among the halachic authorities whether one may kasher an appliance that is fleishig to use with dairy and vice versa. We will leave the discussion of that topic for a different time. Many other articles germane to Pesach are available on this website. You can find them using the search words matzoh; chol hamoed; chometz; ga’al yisroel; hallel; omer. Admin note: We apologize for the delay in sending out this article. We are having a small problem with our server. However, it is still relevant for the remainder of this week. Question #1: Korban Todah or bensching Goimel? Question #2: Bringing home the bread! Although Chapter 100 of Tehillim is known by its opening words as Mizmor Lesodah, there actually are two different chapters of Tehillim, #100 and #107, that devote themselves to the thanksgiving acknowledgement of someone who has survived a major physical challenge. In Psalm 107, Dovid Hamelech describes four different types of treacherous predicaments: traveling through the desert, traveling overseas, illness, and imprisonment, in which a person would pray to Hashem for salvation. When the person survives the travails and thanks Hashem, the following passage reflects this thanks, Yodu lashem chasdo venifle’osav livnei adam, “they acknowledge thanks to Hashem for His kindness and His wondrous deeds for mankind.” These words are repeated four times, once after each of the situations is described. The Gemara cites this Psalm as the source for many of the laws of birchas hagomeil, the brocha we recite when surviving these calamities. Actually, someone who survived these predicaments should offer a korban todah, which is described in parshas Tzav. The birchas hagomeil is recited in place of the korban todah that we cannot bring, since, unfortunately, our Beis Hamikdash lies in ruin (Rosh, Brachos 9:3; Tur, Orach Chayim 219). What are the unusual features of the korban todah? The korban todah is a specialized variety of shelamim, whose name means, according to the Toras Kohanim, that it creates peace in the world, since the owner, the kohen and the mizbeiach (the altar) all share in consuming it (quoted by Rashi, Vayikra 3:1). A shelamim, which was perhaps the most common korban in the Beis Hamikdash, was offered to express the desire to draw closer to Hashem from a sense that one lacks nothing in his physical life (see Commentary of Rav Hirsch, Vayikra 3:1). The korban todah is offered following the general procedures and rules of a shelamim; however, it has several unique features. The first is that the korban itself is accompanied by a huge amount of bread, called korbanos mincha (plural, menachos), a total of forty loaves. Thirty of these comprise ten loaves each of three varieties of matzoh. However, the remaining ten loaves are highly unusual: first of all they are chometz, and this is the only instance of a private korban that includes chometz. (There is only one other korban any time that is chometz, and that is the two loaves offered by the community on Shavuos.) As a result, the korban todah could not be offered on Erev Pesach or on Pesach itself. The chometz loaves are unusual in another way, in that each of them is three times the volume of the matzoh loaves (see Menachos 76b). Thus, the ten chometz loaves were, together, of equal size to the thirty matzohs. 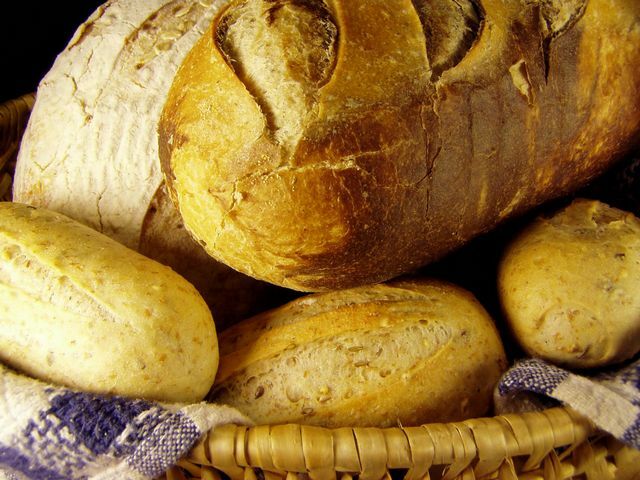 Of the four varieties of mincha that accompany the korban todah, one of each type of loaf is given to the kohen to take home and consume together with his family and friends. The other 36 loaves are given to the offerer of the korban. There is another unusual facet of the korban todah offering. Whereas a korban shelamim may be eaten until nightfall of the next day after it is offered, the korban todah must be eaten before the morning after it was offered, a much shorter period of time. Chazal further shortened the time it may be eaten — permitting it to be eaten only until halachic midnight — to assure that no one eat the korban when it is forbidden. Thus, there are two ways in which the korban todah is treated differently from an ordinary shelamim: The todah is accompanied by an absolutely huge amount of bread, made from a total of twenty isronim of flour, which is twenty times the amount of flour that requires one to separate challah. Half of this bread is chometz and half matzoh, and it must be consumed within a very short period of time. Why would the Torah “impose” these additional requirements on the offerer of the korban? Well, let us figure out what is he going to do. He has a significant amount of holy meat that must be eaten by midnight, and a huge amount of accompanying bread with the same restrictions. What will he do? Presumably, he invites a large crowd to join him in his feast and thereby explains to them the reason for his repast. Thus, we increase the appreciation of others for the thanksgiving that Hashem has provided him. This now leads us directly into our discussion of the chapter of Tehillim that begins with the words Mizmor Lesodah. Whereas the above-mentioned Chapter 107 of Tehillim describes the background behind korban todah and birchas hagomeil, the 100th chapter of Tehillim, Mizmor Lesodah, represents the actual praise that the saved person recites. Although only five verses long, this psalm, one of the eleven written by Moshe Rabbeinu (see Rashi ad locum), captivates the emotion of a person who has just survived a major ordeal. The first verse expresses the need for everyone on Earth to recognize Hashem, certainly something that conveys the emotions of someone very recently saved from a major tribulation. The second verse shares the same passion, since it calls upon everyone to serve Hashem in gladness and to appear before Him in jubilation. The third sentence continues this idea. In it, the thankful person who has been saved calls on everyone to recognize that Hashem is the personal G-d of every individual, and that we are His people and the sheep of his pasture. He then calls on all to enter into Hashem’s gates and His courts, so that we can thank and bless Him. We should note that the gates of the Beis Hamikdash were meant for all of mankind, not only the Jewish People, as specifically included in Shlomoh Hamelech’s prayer while inaugurating it (Melachim I 8:41-43). The closing sentence is also very significant: “For Hashem is good, His kindness is forever, and our trust should be placed in Him in every future generation.” (We should note that the word olam in Tanach means “forever” and never means “world,” which is a meaning given to this word by Chazal. The most common Tanach word for “world” is teiveil; see, for example, Tehillim 19:5; 33:8; and 90:2; all of which are recited during the pesukei dezimra of Shabbos and 96:10, 13; 97:4; 98:7, which are part of kabbalas Shabbos.) The celebrant calls upon those he has assembled to spread the message that Hashem is the only Source of all good, and that we should recognize this at all times, not only in the extraordinary situations where we see the manifestation of His presence! We can now understand better why the Mizmor Lesodah chapter of Tehillim is structured as it is. It provides the beneficiary of Hashem’s miracle with a drosha to present at the seudas hodaah that he makes with all the bread and meat that he does not want to go to waste — complete with encouragement to others to internalize our thanks to Hashem. Clearly, then, this psalm was meant to be recited by the thankful person, and this is his invitation to others to join him as he thanks Hashem. The Avudraham notes that Hashem’s name appears four times in the psalm, corresponding to the four people who need to thank Him for their salvation. Since the korban todah is a voluntary offering, it cannot be offered on Shabbos. The Tur mentions that established custom is to omit Mizmor Lesodah on Shabbos and Yom Tov, out of concern that when the Beis Hamikdash is rebuilt, someone may mistakenly offer the korban todah on these days. On Shabbos, of course, it is prohibited to offer any korban other than the required daily tamid and the special Shabbos korbanos, whereas on Yom Tov one may offer only korbanos that are brought because of Yom Tov (Beitzah 19b). Since the korban todah contained chometz, it could not be offered on Pesach. Therefore, Ashkenazim refrain from reciting Mizmor Lesodah is omitted on Chol Hamoed Pesach for the same reason that it is omitted on Shabbos. Ashkenazic custom is to omit Mizmor Lesodah on Erev Yom Kippur and on Erev Pesach. The korban todah and its breads can usually be eaten until the midnight after the day it was offered. However, were one to offer a korban todah early on Erev Yom Kippur or on Erev Pesach, its chometz may be eaten for only a few hours. Since one may not offer a korban whose time limit is curtailed, one may not offer korban todah on these days, and, following Ashkenazic practice, Mizmor Lesodah is omitted then, also. The common custom among Sefardim is to recite Mizmor Lesodah on Erev Yom Kippur, Erev Pesach and Chol Hamoed Pesach (Pri Chodosh 429:2; Kaf Hachayim 51:51-52). With this background, I can now begin to address the third question raised above. In order to make sure that this thanks to Hashem takes place daily, the chapter of Mizmor Lesodah was introduced into our daily pesukei dezimra. We should remember that miracles happen to us daily, even when we do not realize it (quoted in name of Sefer Nehora; see also Beis Yosef, Orach Chayim 281). Although it was not part of the original structure of the daily prayers established by the Anshei Keneses Hagedolah, long before the time of the Rishonim it was already common practice to include it as part of the daily recital of pesukei dezimra and to say it almost at the beginning. The importance of reciting this psalm should not be underestimated. The Shulchan Aruch (Orach Chayim 51:9), states: One should recite Mizmor Lesodah with song, since eventually all songs will cease except for Mizmor Lesodah. This statement of Chazal is explained by Rav Hirsch (Commentary to Psalm 100) in the following manner: One day in the future, everything on Earth will be so ideal that there will be no reason to supplicate Hashem for changes. Even then, prayers of gratitude and thanksgiving will still be appropriate. A contemporary application that is germane to large-scale food production is the question whether products grown on a medium of soybeans, corn, or other kitniyos are prohibited as kitniyos or not. Some modern poskim refer to these products as “kitniyos shenishtanu,” kitniyos that have undergone a transformation, and therefore permit their use. According to this opinion, Vitamin C, sweeteners, enzymes, thickening agents such as xanthan gum, and a variety of other modern food production aids may be used in Pesach products, even though their major source is kitniyos. Although Shulchan Aruch (Orach Chayim 467:8) permits honey purchased from a non-Jew on Pesach, he states that it is permitted, “because we do not assume that any problems occurred,” implying that he disagrees with Rabbeinu Yonah’s reason (Gra; Chok Yaakov). The Rama there prohibits this honey, so he certainly disputes Rabbeinu Yonah’s reason. This is further borne out by a ruling elsewhere in Shulchan Aruch (Yoreh Deah 114:12) where the Rama prohibits the use of saffron in places where wine or meat is added to it, even though it appears as pure saffron. Chok Yaakov (467:16) answers Magen Avraham’s question by pointing out that the Gemara’s question is whether the substance called “milk” is always non-kosher because milk originates as blood. Rabbeinu Yonah’s point is that a non-kosher substance that has transformed to a kosher substance is now treated as kosher. 2. The Pri Megadim (Mishbetzos Zahav 216:2) implies that he would rely on Rabbeinu Yonah’s position when we are dealing with an issur derabbanan (although in Eishel Avraham [ad loc.] he implies that such a transformed substance is bateil in a mixture, but will maintain its prohibited identity if it was not bateil). The Mishnah Berurah (216:7) quotes the dispute among the poskim as to whether a transformed, prohibited substance becomes permitted. He then concludes that one may use musk as a flavoring agent, when it is less than one part in sixty in the final product. This demonstrates that he accepts the concept of “transformed food,” nishtanu, at least in regard to a rabbinic prohibition. The continuing prohibition against eating kitniyos applies because of the rule of al titosh Toras imecha, “do not forsake the teaching of your mother” (Mishlei 1:8); that is, customs accepted by the Jewish People (see Berachos 35b). In addition to keeping commandments of the Torah and the prohibitions instituted at the times of the Mishnah and Gemara, we are also required to observe those restrictions that Jewish communities accepted (Shulchan Aruch, Yoreh Deah 214:2). 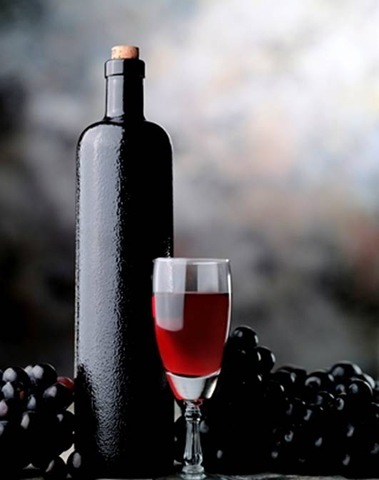 Posted on March 22, 2010 October 19, 2014 Author adminCategories Featured Articles, Halacha Articles, Holidays, Pesach, ShabbosTags grape juice, kiddush, pesach, Seder, Shabbos, wineLeave a comment on Only the Choicest of Wine – What’s Best for Kiddush and Arba Kosos?